So when we started listing random things from around the house on eBay and it was selling, Jeff started to do research and we found ourselves at yard sales each weekend – sometimes Saturday and Sunday, sometimes Thursday through Sunday. 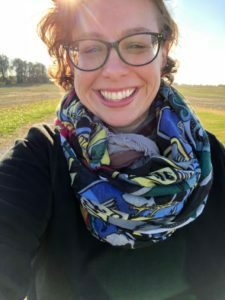 There are so many different aspects of being a reseller, and as much as I fought keeping it to a part-time gig, it’s become a really fun full-time adventure. There are some days when we get in the car at 7:00 AM (too often before!) and don’t get home for 12 hours. 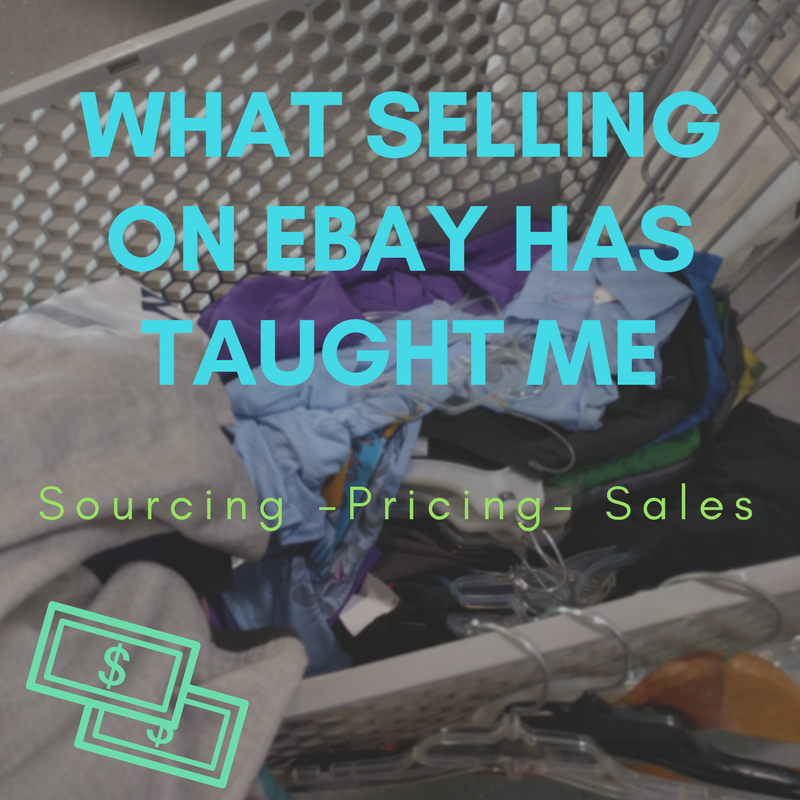 Here are some things that I’ve learned while selling things on eBay, shopping at yard sales and thrift stores, and life in general. Start with your things. You know your items better than anything else, so find a few things that you can list immediately to start growing your sales. The things we sell come from many different sources – Goodwill, Salvation Army, chain and local thrift shops. Given, we have to drive a bit out of the way to get to any, but we make at least one weekly trip to our favorite thrift shops. I bet if you look around your town you’ll find more than you would expect. Jeff and I have a great-for-us listing process. I draft up the items and I try to spend less than 10 minutes on each item and I work hard to get as many done day as possible. Sometimes I have to put my phone in a different room or turn it on do not disturb – ABL, people, ABL. There are days when we don’t post any listings due to work/life and those days (and a couple following days) we definitely see a slow down of sales. Of course, the more things you have in your store, the more sales you are likely to make, but it is a true statement that the eBay algorithm likes when we’re listing. No matter how many items you’re selling you need to be organized. If you misplace something and have to search your entire house daily for it, you’re not making money, you’re wasting your time – plus the buyers’ time if you don’t find it. It would seem that we do things a bit differently than most other resellers when it comes to our stuff being ready to go, but that’s okay. It’s what works for us. We are able to get items out within minutes if need be. I love our ever-growing and ever-evolving system! While you can price your items as high as you’d like, you probably won’t see many sales. I personally am not a fan of pricing things higher and putting it on 50% off pretty much all the time. I’d rather price it the going rate (depending on condition, etc) and throw an occasional sale on some things. Everyone works differently. Of course there are other resellers out there. And whether or not you are looking for the same items, there is PLENTY of stuff out there. And don’t be eyeing people up and down to try and figure out if they are a reseller, go about your business and find yourself some money makers – you want to hear those cha-chings on eBay ASAP! It starts with sourcing. Double check your items thoroughly. Yes, you will definitely miss a hole, chip or stain, but do your best to check it out. When you’re working on eBay drafts, double check your spelling, prices, information, and don’t break the rules. Make sure that you send the correct item out to the correct person. It’s easy to think it won’t happen, but get too comfortable and you’ll be surprised when you receive a message from a customer asking why they got x item instead of y. Thankfully it’s only happened a couple times for us and everyone has been understanding. Patience is something that I really needed to work on in life in general and going to thrift shops and selling on eBay has been a huge part in getting that started. We get to talk with so many shop owners and volunteers at thrift shops that you realize just how much people are willing to help out and that people are going through so many different things. We recently saw a shop owner help out a woman, who had just been left by her husband while she was pregnant. It was heart breaking, but knowing that her and her two children would be able to get some help was nice to see. Kindness is a must no matter what you’re doing. I don’t care where you are, if you are cutting people off to get in line before them, running to get somewhere first, trouncing through people’s yards, you need to rethink what you are doing. Yes, we resell to make money, but for most of us, it’s also a fun thing to do. Just be kind to one another; employees, homeowners, resellers, customers, whomever. If it’s not listed, it’s not selling…end of story really. We like to keep a little bit of back inventory for days when we can’t get out to source, but do not let the piles accumulate! It will do nothing for you but create stress and random piles of things that are not selling because…they are not listed. “Death piles” are nothing to be proud about – that phrase should go out the window along with the “I’m so busy” mindset. If you want to get things listed, make it happen – set the time aside! 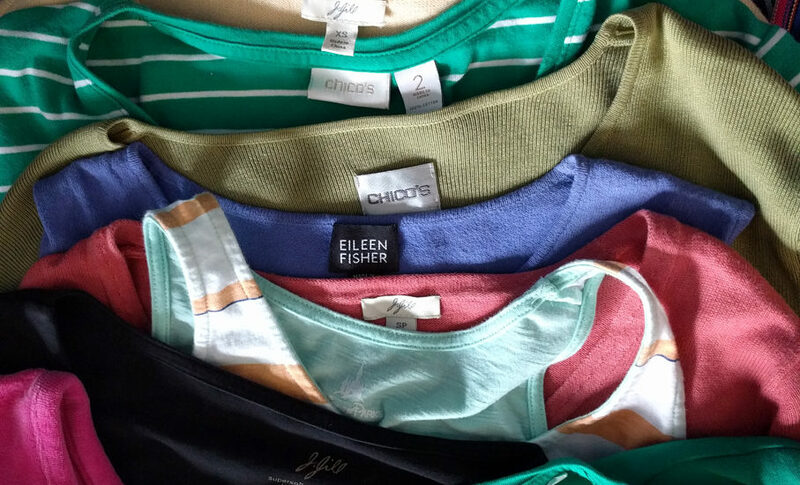 Most Goodwills in our area have 50% off one color tag each week, so we are always on the lookout for those items. Every Wednesday, our Salvation Armys have 50% off all clothes, so when we first started to look into possibly selling clothes that is where we went. One of the most important things to remember is that not all things from one certain brand are going to sell. The biggest thing I see happening is people will think that all Disney things will sell because it’s Disney. That is not the case. Don’t be afraid to do some research before buying an item. Jeff and I were looking every.single.thing up for a while – housewares, clothing, whatever it was. Now we’re able to read our gut reactions a little bit better – not to say that we don’t still look things up or buy items that may not resell for what we thought it might. No reason to beat yourself up, figure out if you or friends/family can use it, and if not, donate it back.